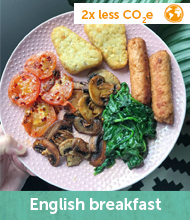 What do vegans eat?! 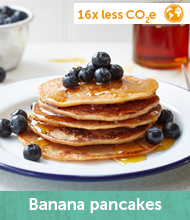 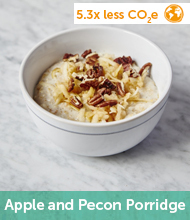 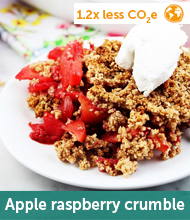 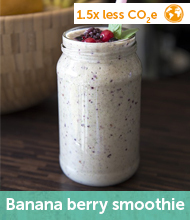 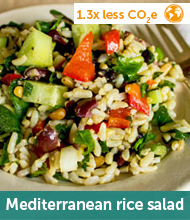 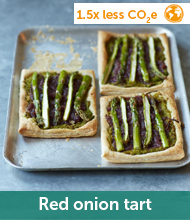 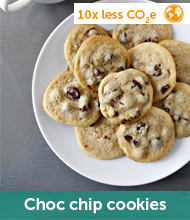 Lots of lovely low carbon things.. take a look at our selection below, and enjoy! 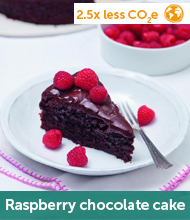 How did we work out the CO2e emissions? 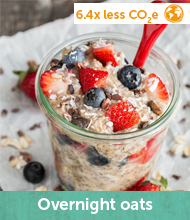 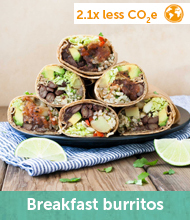 Start your day off with a planet-saving breakfast - from overnight oats to a breakfast burrito, we've got it covered. 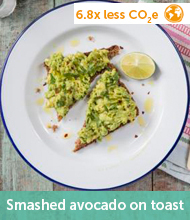 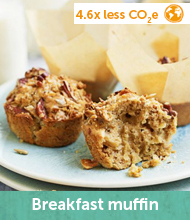 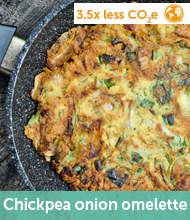 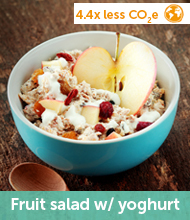 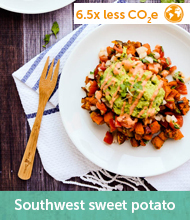 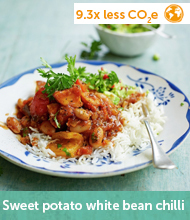 Opt for a sweet potato hash for your morning treat and you'll be saving six times the CO2 emissions of a traditional full English. 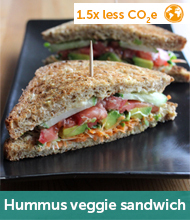 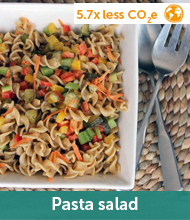 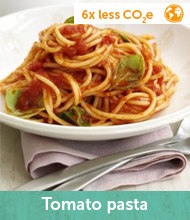 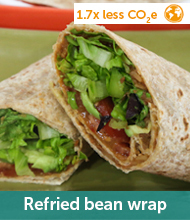 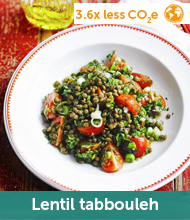 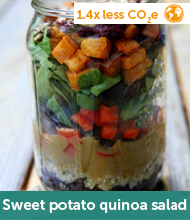 Check out our variety of lunch inspiration, which will cheer up your body and the planet. 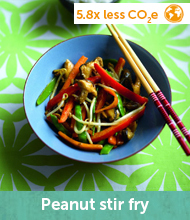 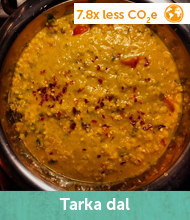 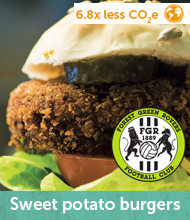 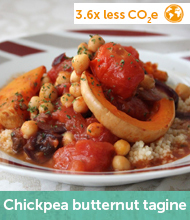 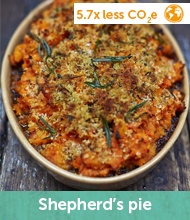 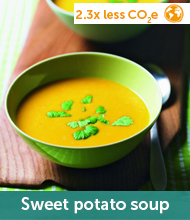 Ditch the pork pie and opt for sweet potato soup instead - it's twice as good for planet earth when it comes to CO2. 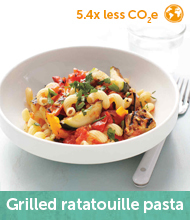 Take a look at our tantalising dinner options, good for you, your family and the natural world around you. 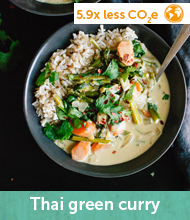 You'll find plenty of familiar options, but with a vegan twist - from shepherd's pie to Thai green curry.